The Fast Law Firm does not pursue litigation for its own sake. It is dedicated to achieving the best results for its clients and resolving disputes in the most efficient and cost-effective manner. * Have you just been served with a lawsuit? * Are you considering suing someone? * Is a customer, supplier, landlord or tenant or other party not keeping the terms of an agreement they made with you? 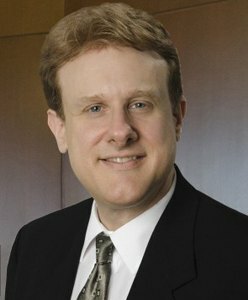 A lawsuit is expensive and time consuming so The Fast Law Firm usually attempts to resolve disputes through mediation, arbitration, or negotiation. However litigation is sometimes unavoidable and may occasionally even be in your best interests. When it is, The Fast Law Firm will pursue and protect your interests and will do so, aggressively. The Firm can represent you in state or federal courts anywhere in Florida. The Fast Law Firm can provide you legal help, legal advice and legal counsel for legal issues and disputes whether they require litigation or not. Call now for help in resolving the following (and other) types of disputes: * General Commercial Disputes * Business Owner Disputes * Commercial and Residential Real Estate Disputes * Contract Breach, Enforcement and Dispute Resolution * Commercial Collections * Debtor Defense against Collections and Harassment * Employment Disputes * Landlord-Tenant Disputes * Construction Law ...and most other sorts of civil and business disputes and litigation. Because of his background Mr. Fast is often called to advise clients on their business matters in addition to providing a pragmatic legal perspective which only someone with business management experience could do.